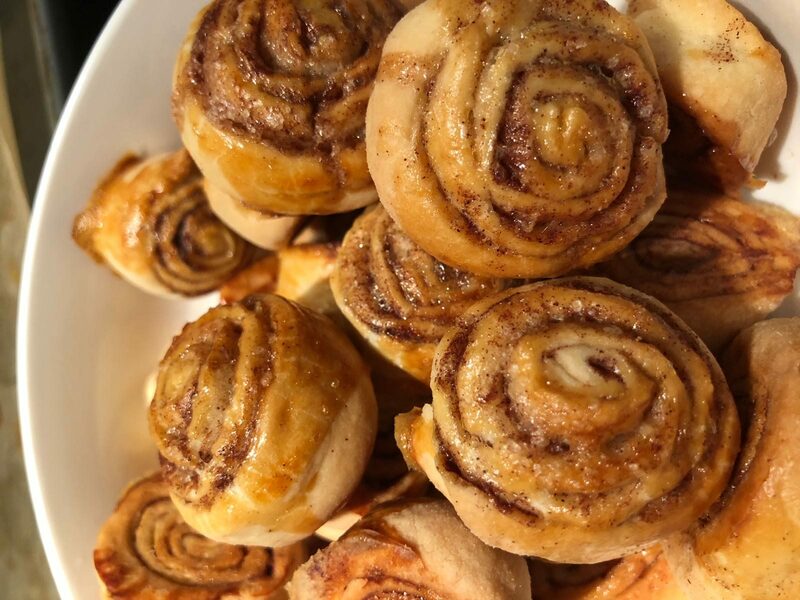 The English-speakers know them as cinnamon rolls and love to top them with icing. The Swedes call them kanelbulle and have set aside a day (the 4th of October) for celebrating this sweet roll. The North Germans have crossed them with croissants and named them Franzbrötchen. We Latvians certainly have no claim to the invention of the cinnamon bun, but over the centuries kanēļmaizītes have become a staple of our national cuisine. They are especially beloved around the Christmas time when they can be found on the table at almost every house. The typical Latvian way of making cinnamon rolls is simple and sticks to the basics. There is no glaze or icing, no special spices aside from the cinnamon. Likely it’s this down-to-earth approach that in my very subjective opinion makes them taste better than any of their cousins across the globe. Click to read the recipe on the blog Femme au Foyer! The post is part of the annual 24 Days of Baltic Christmas series featuring lots of awesome recipes, traditions, stories, and much more from Latvia, Estonia, and Lithuania each December.